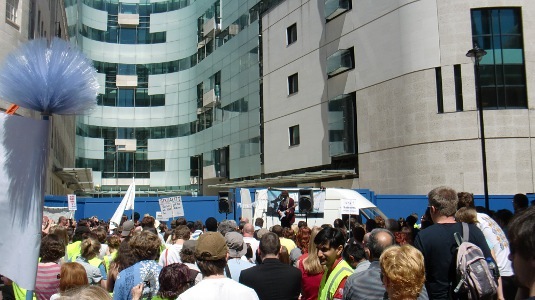 I attended the second demonstration protesting against the proposed closure of BBC 6 Music in the West End on Saturday 22 May 2010. The day started at midday at the well attended demonstration, outside Broadcasting House, with a range of speakers and performers, expertly compared by Jon Holmes. Later at 229 Great Portland Street there was a fantastic music gig connected with the demo. 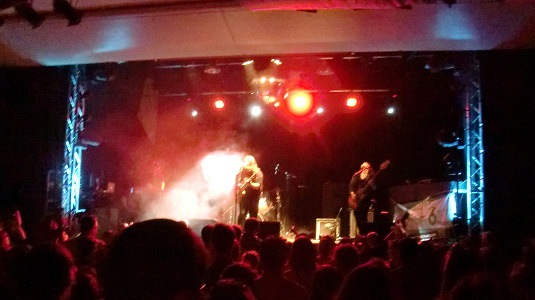 Artists included Eliza Carthy, Mirror Kicks, Magic Numbers (pictured) and Doyle & the Four Fathers. The public consultation, carried out by the BBC Trust, has now closed. The Trust plans to publish provisional conclusions this summer, and a final strategy in the autumn. I haven’t seen anyone saying that 6 Music should close, and if the Trust propose to close the station, I’d be very interested to see their arguments.